The summer months are edging ever closer, and while that means most people might be starting to think about vacations, mobile gamers are probably focused on one thing – the launch of Mario Kart Tour. 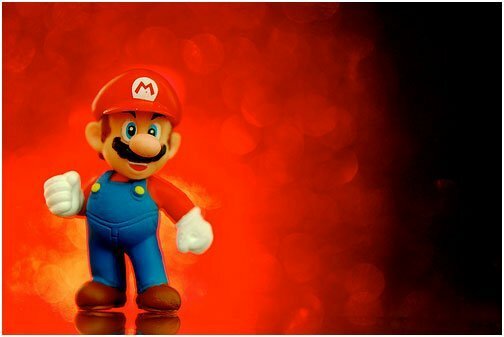 Initially expected to be released by the end of March, the launch of the new Mario mobile game was reportedly pushed back in order to give Nintendo the chance to improve the “quality” of the title. According to reports, all signs now point to our favorite plumber’s second mobile title being released in the summer, and the decision to take the game down the smartphone and tablet route is yet another indication of how mobile gaming is undoubtedly going from strength to strength. Once upon a time, gaming on a cellphone meant settling down to spend half an hour playing Snake on a Nokia, but these days the experience could not be more different. The technological advances seen in handsets and the emergence of operating systems like Android and iOS mean that an array of experiences are now available at the touch of a button. The fact that mobile games are so accessible has also meant many have become huge hits, with Pokemon Go and Candy Crush becoming full-blown phenomenons in their own right. The developers behind Mobile Strike were even able to call on Arnold Schwarzenegger to promote their game. Other forms of gaming have also been successful too, with iGaming and online casino sites also effectively making the jump into the mobile world. As Bonus.ca outlines for example, slots games that come with a free bonus are often now available on PC and also on smartphone and tablet via mobile sites and apps. However, if you needed statistical evidence that mobile gaming is becoming a real challenger to the traditional video gaming world, recent research published by Newzoo and Activision Blizzard Media undoubtedly provide it. According to the white paper, in the region of 2.4 billion people are expected to play mobile games around the world in 2019. Furthermore, games are thought to be the third-most popular app type behind shopping and social media apps, and they actually rise to second among younger people too. In the survey, one in two app users said they had opened a game in the last week, with Candy Crush Saga being the most-played game ahead of Pokemon Go, Fortnite, Angry Birds and Mario’s previous entry into this world – Super Mario Run. The launch of the latter was seen as a major moment for mobile gaming, particularly as it marked one of the few occasions when Nintendo has launched a Mario title away from its own hardware. The fact that the plumber is returning to mobile yet again is undoubtedly a clear sign that the platform offers major potential. As the study by Newzoo and Activision outlines, mobile gaming is in rude health at the moment, and it will be truly fascinating to see how it develops across the months and years ahead.